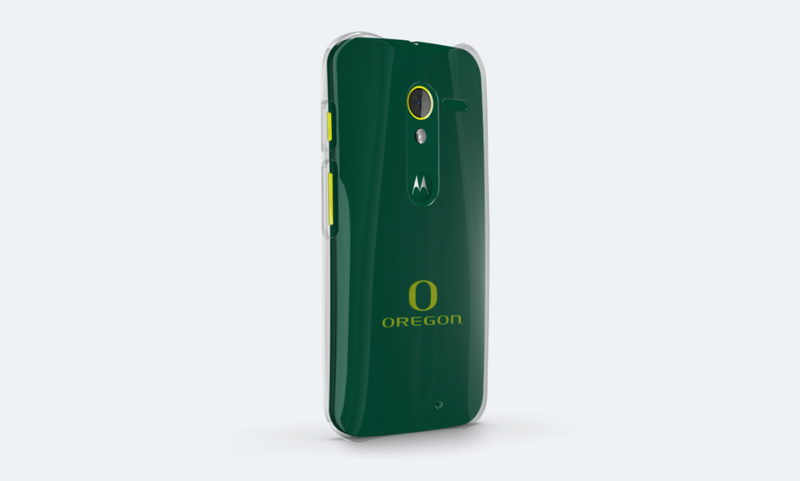 Just in time for March Madness, Motorola has introduced the “College Collection” of colors and cases to its 2013 flagship, Moto X. Through MotoMaker, and using 9 new color options, Motorola hopes that you can create the phone for the ultimate fan in you. If not, they put together a gallery of pre-set color schemes for over 40 major schools, including Georgetown, Kentucky, Kansas, and Stanford, that should make the process painless. They even have clear cases for many of the schools that only feature a school logo. If you are a student, faculty member or alum, Motorola will give you a special discount by registering at motorola.com/college with a valid .edu address. The discount will land you an off-contract Moto X for the discounted price of $339. The nine new colors are purple, hunter green, blue, dark teal, orange, golden yellow, red, smoke, and slate. There are also three new accents of metallic orange, purple, and green. The College Collection can be found here; new MotoMaker colors here.